with the FIFA World Cup exciting people in all four corners of the world our local graphic wizard is conjuring up some epic shapes and colors. 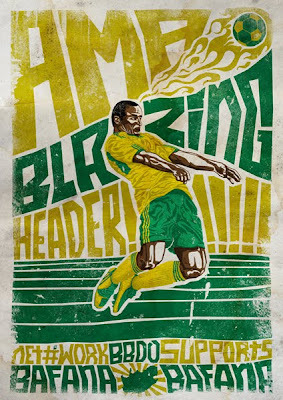 i give you a sample of bafana magic. Charl has such skills; nice one brother!